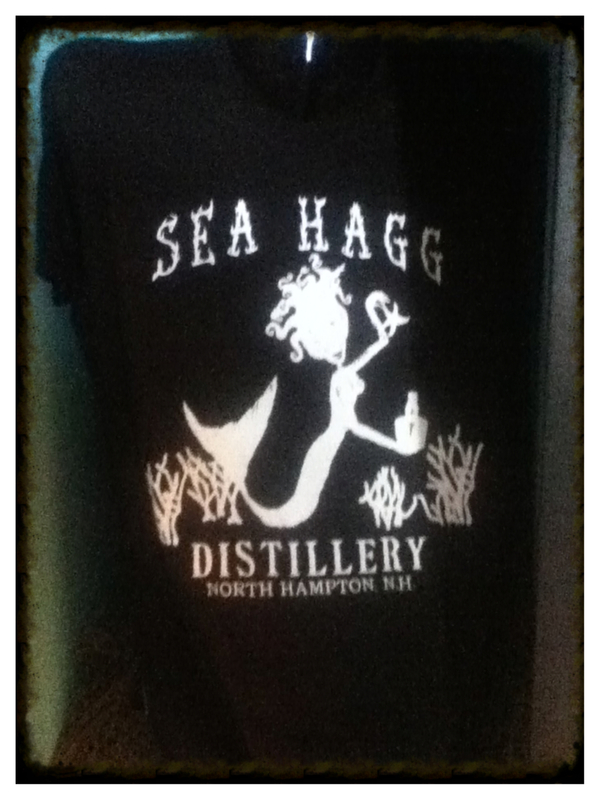 Sea Hagg Distillery, Hampton NH – Breweries, Wineries and the fun in between! I had wanted to hold off on writing this entry until their Strawberry Rum was out… Mark suggested that we go back for their Strawberry Rum and add to our information then, but it isn’t ready yet and I’m getting antsy! I will add to this entry once we are able to pick some up. 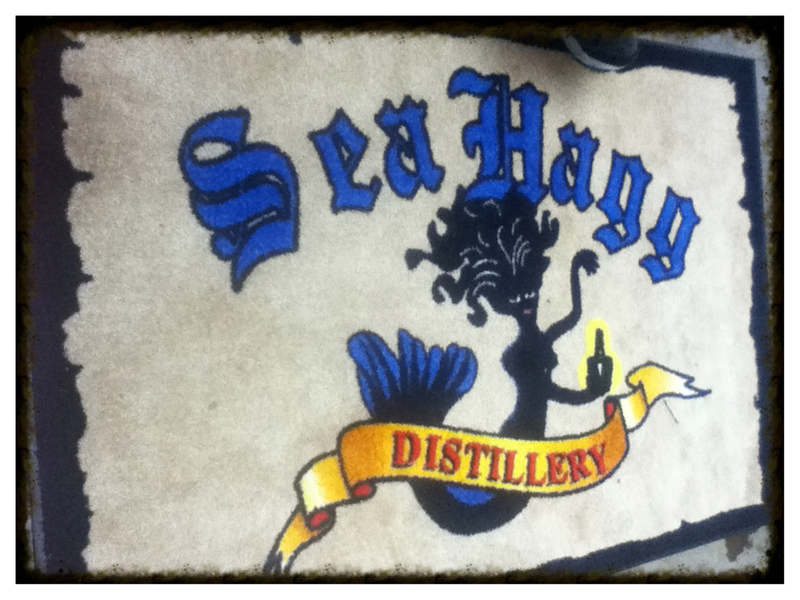 We visited Sea Hagg Distillery, located in Hampton NH, as part of the Granite State Growler Tour. Sea Hagg Distillery was the only distillery on the tour. When we entered Sea Hagg Distillery, we were greeted by Ron with a delicious mixed shot-sized drink- mango lemonade mixed with their blueberry rum. Really good! Not too sweet, but a nice summer-y drink! 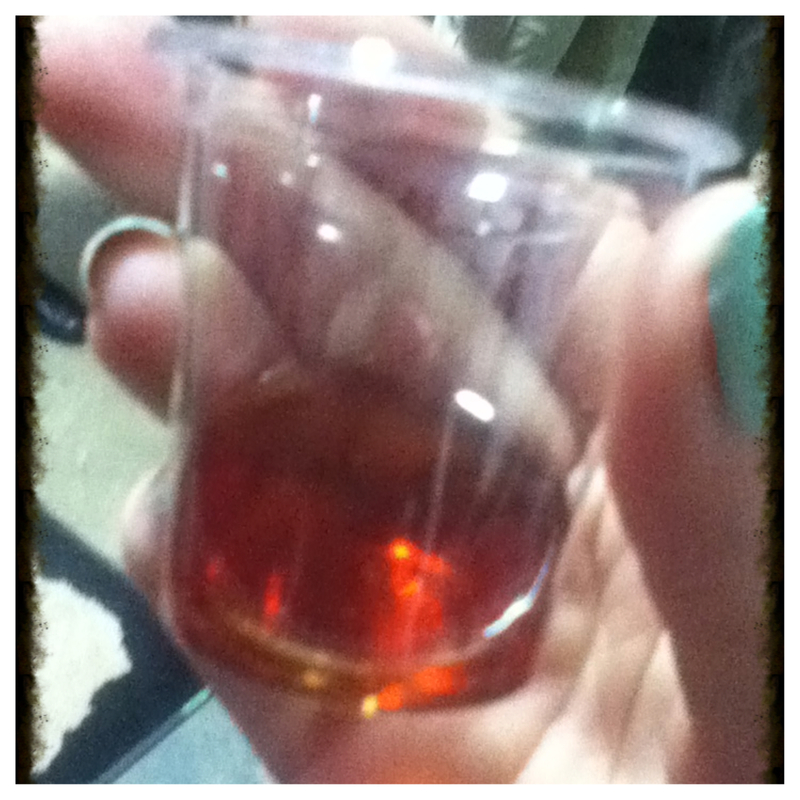 After another sample, this time Amber Rum, we went out back to see the distillery and hear about the company. Sea Hagg Distillery is considered to be a craft distillery, producing small batch artisan spirits that are made from start to finish on site. Sea Hagg Distillery produces both rum and fruit brandy, as well as eau-de-vie. All of their products are made using either fruit from local farmers or sugarcane molasses grown in the USA. Did you know that producing rum and other spirits used to be labeled as a “women’s job”? 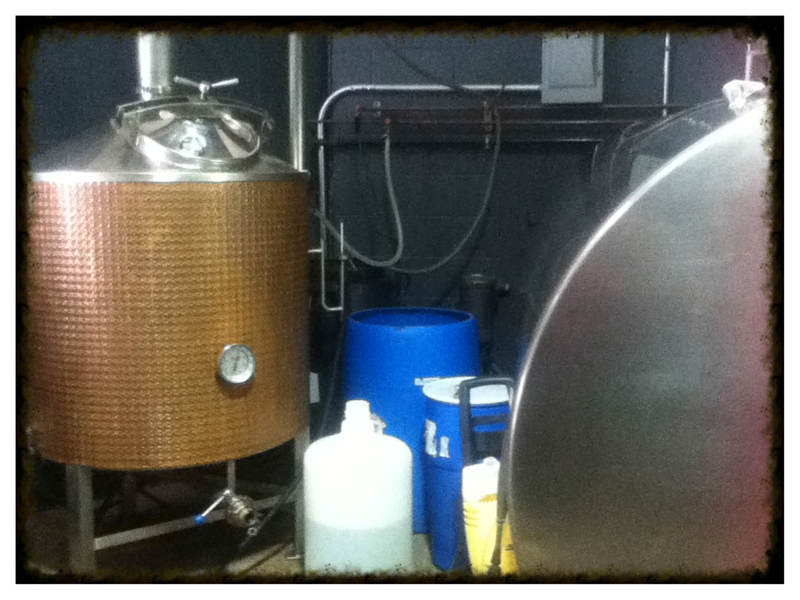 Well, Sea Hagg Distillery is taking that label and running with it- it is women owned and operated. 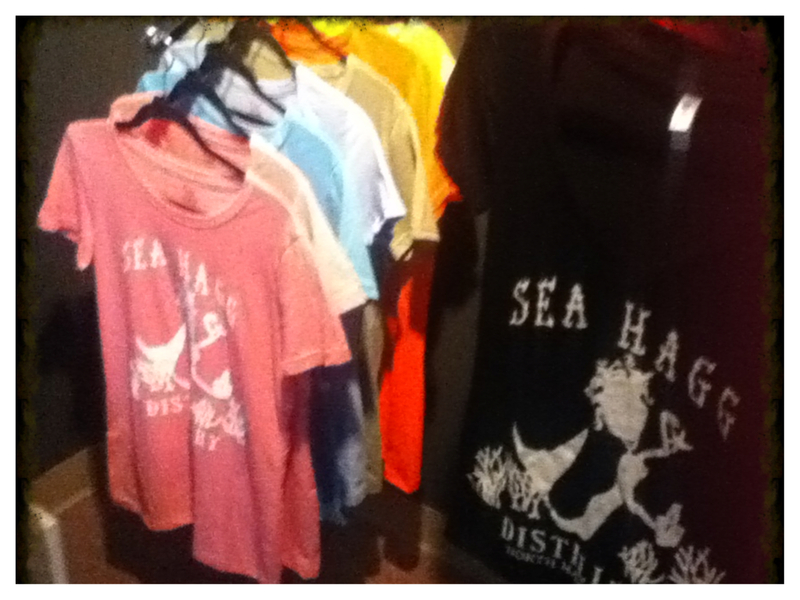 The idea of Sea Hagg Distillery was created while sitting on the beach in the Caribbean. 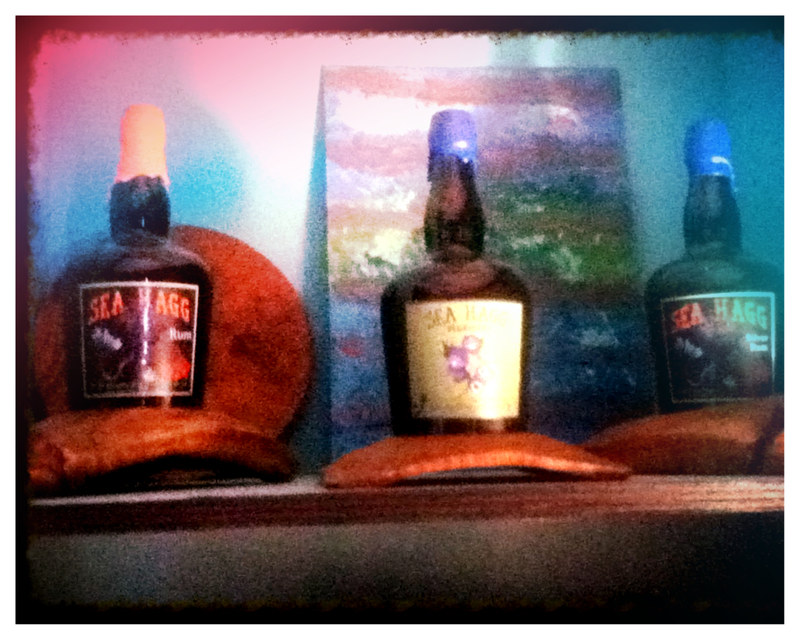 At first, the idea was to import Caribbean rum and blend and bottle in NH. Once the history of rum and New Hampshire was looked into, the decision to make rum instead was decided upon. They import 4000 pound totes of Louisiana molasses to make their rum! A traditional Colonial rum distilled in the time it took to travel via ox cart from the distillery to the tavern. Sea Hagg Silver Rum: small batch, made from US grown sugar cane molasses. 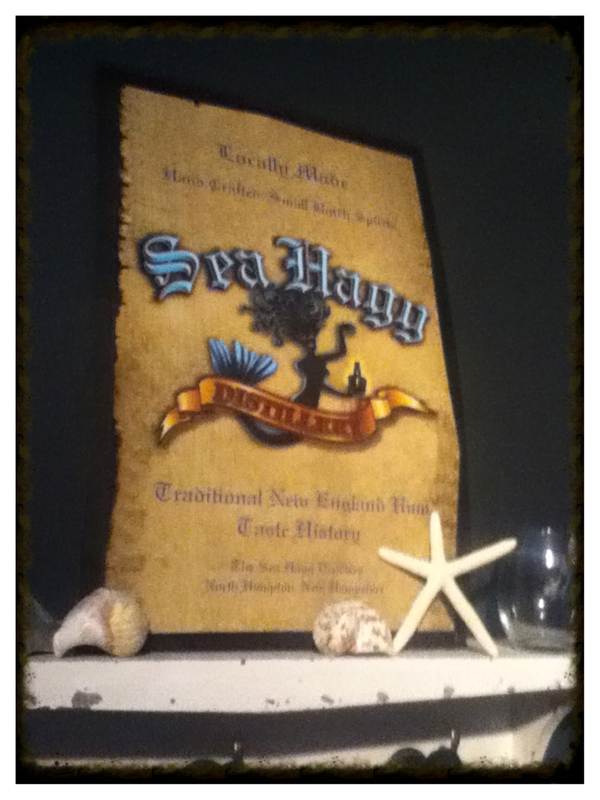 Sea Hagg’s rum is distilled in a traditional copper alembic pot still, barrel aged and bottled by hand. Blueberry Rum: contains one pound of blueberries per container!!! They went through 5000 pounds of blueberries last year! Amber Rum: a true colonial style rum. Colonial style rum was made in the areas between Portsmouth and Newport (RI). 80 proof, aged 5 months. Had a slight oak and whiskey flavor but was very smooth. 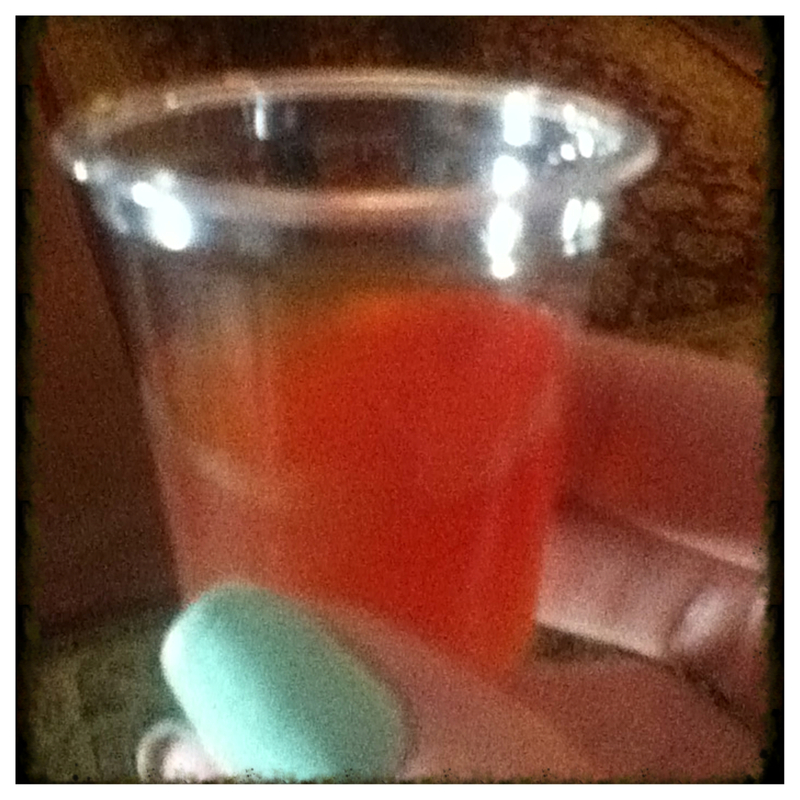 Strawberry Rum: when we tried it, it was 60 proof but would grow to be 80. Went down smooth and easy. The strawberries are from a local farm, Apple Crest. 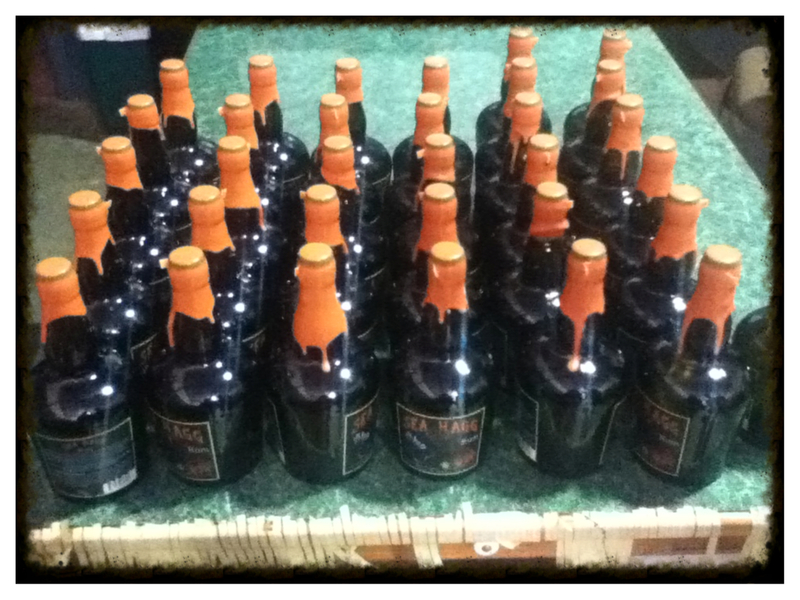 Can’t wait to pick up a bottle when they are all labeled! I think it would go great in many drinks, but also over ice. Poitin: Irish moonshine. All grain style. 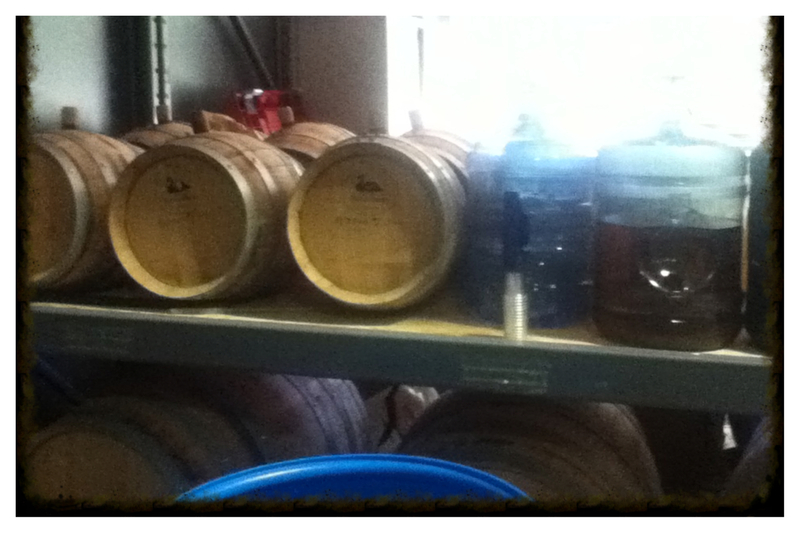 When we tried it, we tried it straight from the barrel. It was 120 proof at the time, they will bottle it at 90 proof. Peach eau-de-vie: Peach, un-aged brandy. Sea Hagg Distillery enjoys working with seasonal fruits. 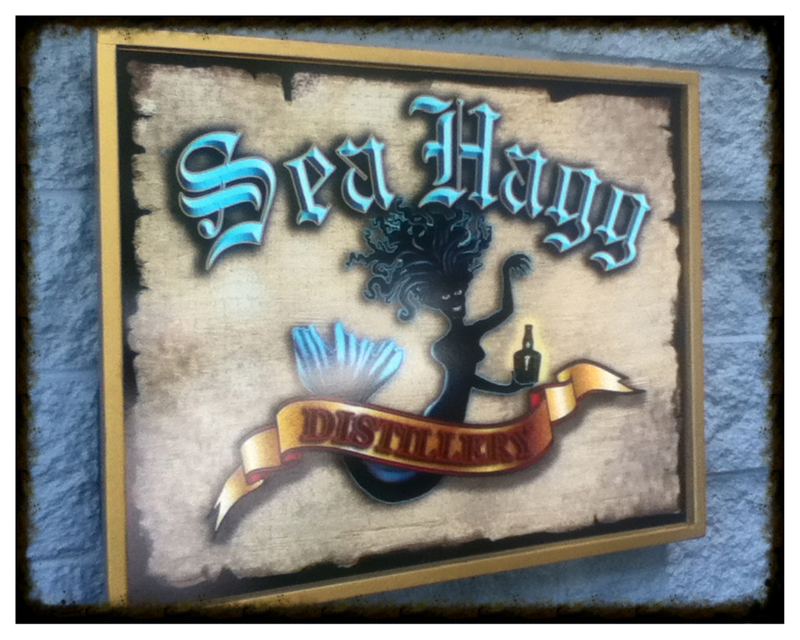 Sea Hagg Distillery will also have a Spiced Rum coming out this fall! Wednesday – Friday; 12:00pm – 6:00pm. 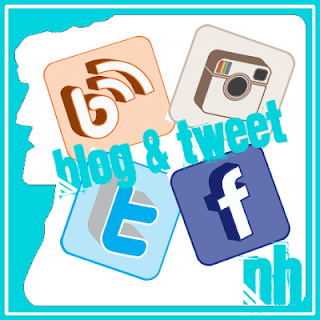 Pingback: Granite State Growler Tours, LLC | Breweries, Wineries and the fun in between!